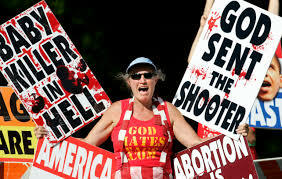 The vast majority of mass shootings in the United States have been perpetrated by white Christian males. Until something is done to address this issue, there should be a total ban on white Christian males entering the country, and all white Christian males currently living in the U.S. should be carefully monitored and required to wear some sort of identifying badge. Churches must be required to have separate seating for men and women, so law enforcement can monitor the men during services and watch for signs of radicalization, such as Catholic men repeatedly making the sign of the cross and bowing or Protestant men holding their arms above their heads in apparent ecstasy. Making the sign of the cross can be a prelude to the looking at the cross hairs through a scope, and in no time at all, those ecstatic arms could be caressing an assault rifle. Seminaries are teaching a radicalized anti-abortion, anti-gay ideology, and some of them are going to have to be closed down. We can be politically correct and we can be stupid, but it’s going to get worse and worse unless we take action. Non-Christians, atheists, and other reasonable Americans are going to have to be vigilant. If you see a white male prominently displaying a cross, don’t be afraid of being accused of racial profiling. Report it. Does your white Christian neighbor go to church more than once a week? Report it. Are the Christmas lights on the house next door still up in late February? Report it. Have you noticed that your white Christian colleague has stopped swearing? Report it. 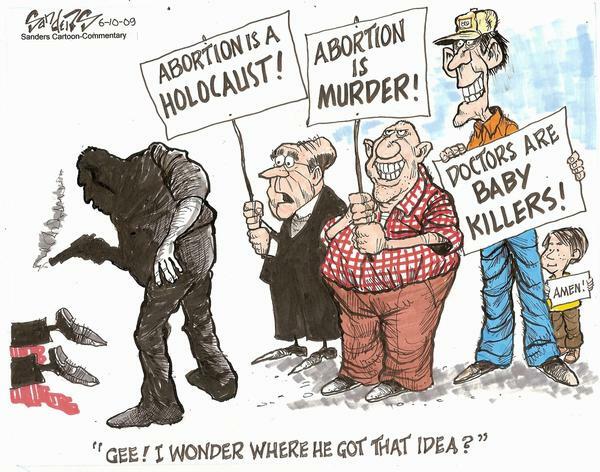 Be especially wary of white Christian males who go on about the sacredness of life. They’re not talking about your life.